For nearly 40 years, the international space agencies that manage the Argos system have been committed to technological advancements for the Argos system. Capitalizing on this long experience in state-of-the-art, innovative instrumentation, the French Space Agency, CNES, has invested in a new generation of Argos payloads, called Argos-4, that will fly on the satellites of its international partners starting in 2019. 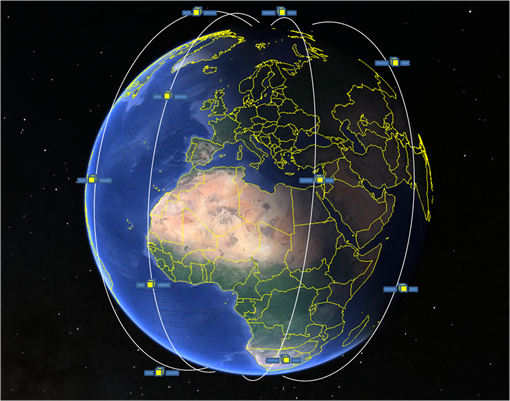 In parallel, CLS, with the support of the French Space Agency CNES, is working to develop a completely new generation of dedicated satellites, using nanosat technology. This constellation of 20 nanosatellites, called Kinéis, is planned to launch in 2021. Kinéis aims to become a major player in NewSpace and allow, by 2030, several million objects to be connected wherever they are on the surface of the globe. Professionals and the general public will have access to a global satellite location and connectivity service, which is very easy to use and very affordable.